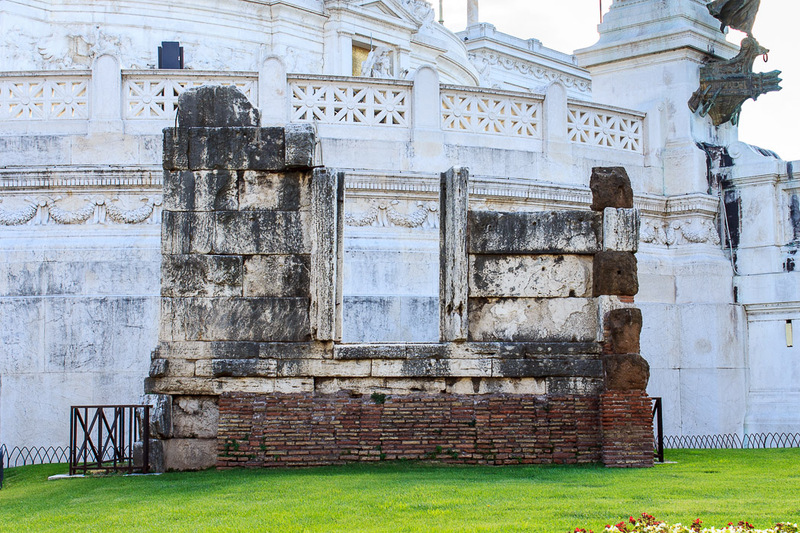 On the grass to the left of the front steps of the Victor Emmanuel Monument (that is, on the side toward Trajan's Column) is one wall of a funerary monument from somewhere between 100 BC and 50 BC. Most of the monument is buried, only one wall of the top layer is above ground. The front of the monument, from Via dei Fori Imperiali, across the street from Trajan's Column, is shown in the 1st and 2nd photos below. The back of the monument is shown in the 3rd and 4th photos below, taken from part way up the Victor Emmanuel Monument and from the street level walkway behind the monument, respectively. The part of the monument above ground is about 15 feet high, out of the total 48-foot height. The entire monument was excavated in 1907, but the bottom part was re-buried. The doorway between the two columns was probably a niche for a statue. See all Tomb of Bibulus photos. 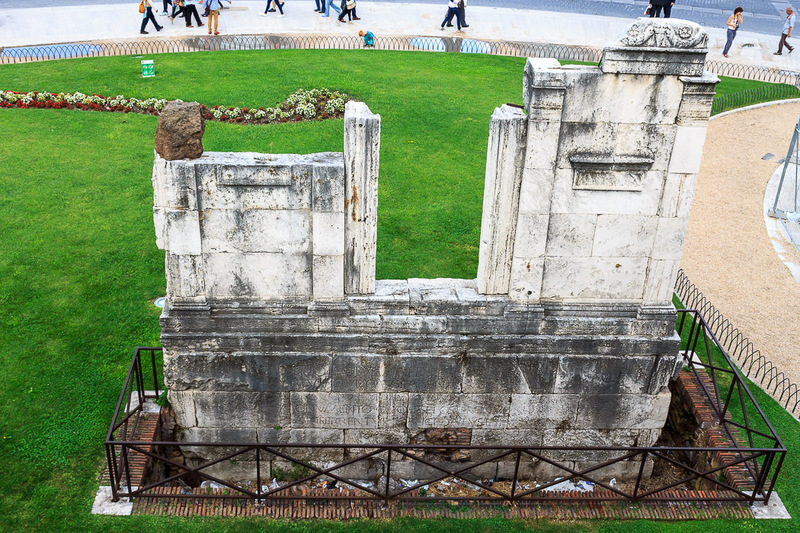 The Tomb of Bibulus, 1st century BC, from part way up the Victor Emmanuel Monument. 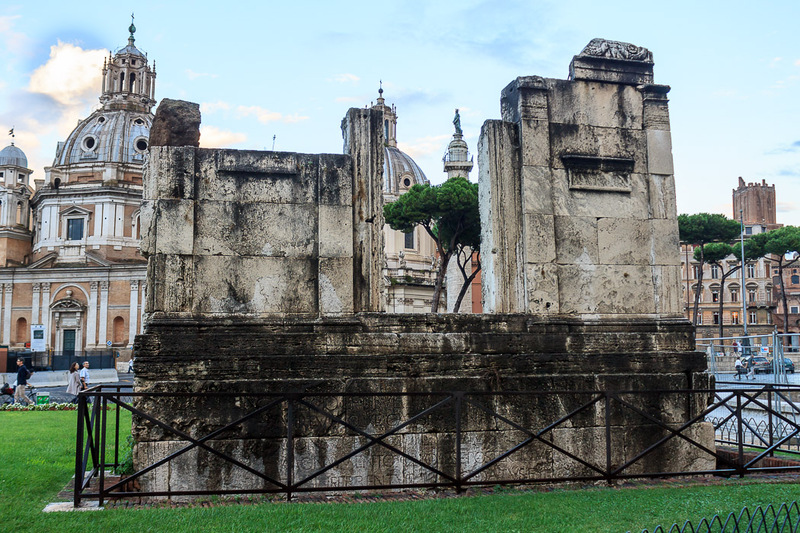 The inscription reads 'For Gaius Poplicius Bilubus, plebeian aedile, in recognition of his worth and valour, by decree of the Senate and People the site for a tomb for him and his descendants has been given at public expense'. The Tomb of Bibulus, 1st century BC, from the sidewalk behind it. 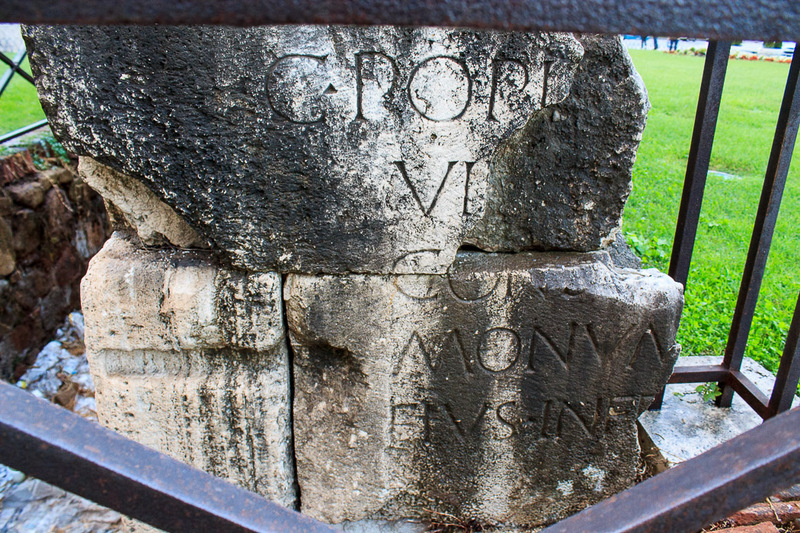 The inscription reads 'For Gaius Poplicius Bilubus, plebeian aedile, in recognition of his worth and valour, by decree of the Senate and People the site for a tomb for him and his descendants has been given at public expense'. Gaius Publicius Bibulus became tribune of the plebs in 209 BC. It was the law in ancient Rome that tombs must be built outside the city walls, and it was customary they not be built for some distance beyond the walls, but this tomb was permitted about 100 yards north of the probable site of of the Porta Fontinalis in the Servian Wall, suggesting that Bibulus was highly respected, or perhaps died in office. 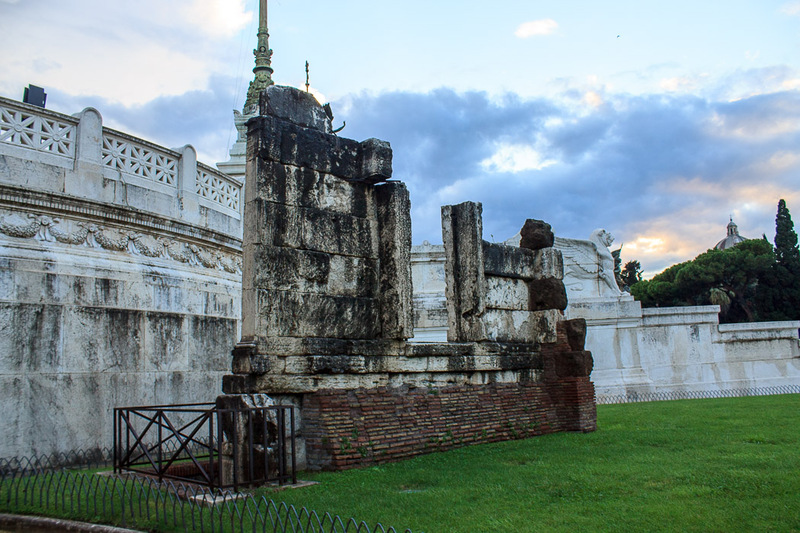 Since Gaius Publicius Bibulus lived in 209 BC and the present tomb was built between 100 BC and 50 BC, it is presumed to be a rebuilding of the original monument undertaken by the family to emphasize their honor.